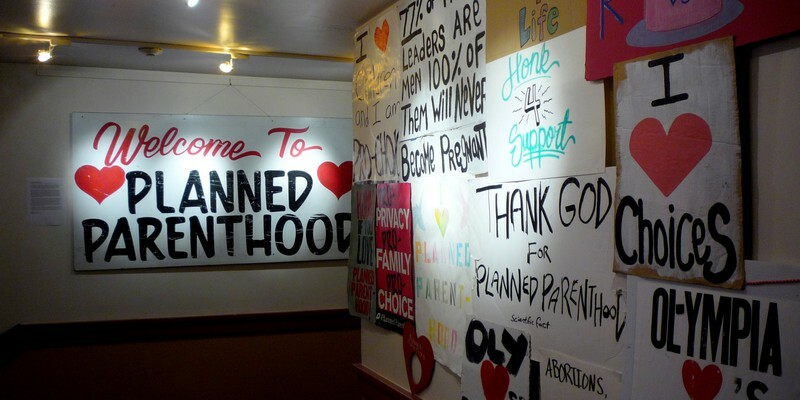 By Kaitlyn Van Baalen / April 11, 2019, 7:37 p.m.
“Defund Planned Parenthood” has long been a rallying cry of social conservatives nationwide, but that goal has remained elusive at the federal level for Republican lawmakers. Next month, however, with a new rule change from the Trump administration, that goal will become one step closer to reality. Millions of women who stand to lose their only source of reproductive healthcare will be left behind by the administration’s attack on abortion. Although its purported aim is to minimize abortions, the new rule may accomplish the exact opposite by diminishing the contraceptive services that prevent unplanned pregnancies in the country’s most vulnerable populations. The changes, which are set to go into effect on May 3rd, involve the implementation of Title X of the Public Health Service Act. In 1970, Title X established a grant program for family planning clinics that provide for low-income patients. Currently, these sites serve over four million people and offer a full range of reproductive health services: contraceptive care, infertility counseling, pregnancy testing, screening for STIs, high blood pressure, anemia, diabetes and cancer. Title X funding has never been permitted for use in abortion-related services. Under the Obama administration, providers that were funded under Title X were required to inform pregnant patients of all their options, including termination. The new rule change scraps the requirement for fully informing patients and outright bans referrals for abortions. The program will shift its focus toward abstinence counseling and unreliable “natural family planning” as methods of contraception. These emphases will redirect funding away from comprehensive family planning organizations like Planned Parenthood and potentially toward overtly pro-life “crisis pregnancy centers,” which provide limited and often misleading information to dissuade pregnant women from obtaining abortions. Critics have branded the change a “gag rule” for providers. If abortion-providing family planning clinics want to retain Title X funding, they must initiate a burdensome and frankly unattainable litany of alterations to their clinics: separate entrances, personnel and electronic records for patients who seek or receive abortions. Unsurprisingly, Planned Parenthood has already stated that it will not comply, citing an ethical duty to provide complete information to patients. As a result, Planned Parenthood will lose an estimated $60 million annually. Although it remains to be seen whether other clinics will follow suit, the financial damage to Planned Parenthood alone will severely restrict reproductive health care for patients nationwide. Planned Parenthood serves 41 percent of the four million people who rely on Title X for reproductive healthcare and has claimed to be the sole provider for low-income women in a fifth of the counties that it serves. To say that patients may simply switch providers when their local clinic loses funding is to ignore the stark reality of healthcare availability in the United States. Sixty percent of women who received contraceptive services at a Title X-funded clinic disclosed that those services were the only medical care they had received in the past year. Sixty-seven percent of Title X patients are at or below the federal poverty level and 42 percent are uninsured. Without Title X support at their local clinics, these patients will be left without potentially lifesaving care. Even if some patients are able to receive care from alternate locations, those locations under the new rules will not be legally required to fully inform their patients, calling the quality of that care into question. The expected loss of reproductive healthcare for patients nationwide runs contrary to the stated purpose of the rule change—to “increase the number of patients served and improve the quality of their care”—and the financial interests of the federal government. In 2015, the Guttmacher Institute estimated that Title X clinics aided in the prevention of over 800,000 unintended pregnancies. If even a fraction of funded clinics lose their ability to provide contraceptive services to low-income populations, thousands more women may experience unintended pregnancy, which would likely increase demand for abortion. Greater abortion demand presents an ideological inconsistency for the supposedly anti-abortion administration backing the rule change—and it defies economic sense as well. Spending on Title X pays for itself many times over by allowing early detection of illness and preventative care. Without Title X, the costs of later and more expensive care associated with serious illness or pregnancy would be incurred largely by the taxpayer. If the Title X rule change will deprive people of healthcare, fail to limit abortion rates and increase costs, why has the Trump administration proposed it? Republicans have worked to make Planned Parenthood synonymous only with abortion. Although Planned Parenthood is the largest provider of abortions in the country, abortions comprise only a fraction of the full range of reproductive health services Planned Parenthood provides—despite the false statistics some Republicans have cited about the prevalence of the procedure. Partially defunding Planned Parenthood is sure to be popular with the socially conservative portion of the Republican electorate. President Trump will surely tout it as a delivery on one of his key campaign promises as he seeks reelection in 2020. Although technically Planned Parenthood will still receive funding from Medicaid and private sources, that may matter little to conservative voters who are eager for even partial defunding after repeated failures by Republican lawmakers. Despite the grim forecast if the rule changes are implemented, the fate of Title X is not yet set in stone. Though the changes are scheduled to begin in May, they face mounting legal opposition from a coalition of states’ attorneys general, independent clinics and the National Family Planning and Reproductive Health Association (NFPRHA). Their collective suit is set to be heard on April 25th, only days before the alterations would go into effect. Notable among the opposition are Kathleen Sebelius (former Secretary of Health and Human Services), the American Medical Association, the American College of Physicians and several senior congressional Democrats, whose letter expressed concern that the rule change has escaped proper regulatory review. Nevertheless, history should dampen expectations for a last-second save of Title X by the courts. The NFPRHA and several Planned Parenthood affiliates previously filed a lawsuit against the 2018 funding announcement for the Title X program, which revealed the planned changes, but lost at the district level. That case now awaits an appellate decision. With the regulatory comment period closed and the newest case impending, there is little to do but wait and see whether the current administration will be allowed to undo the United States’ remarkable progress in reproductive health. Wait, spread the word and, when the time comes, vote. The image featured with this article is used under the Creative Commons 2.0 License. The original was taken by Jason Taellious and can be found here.